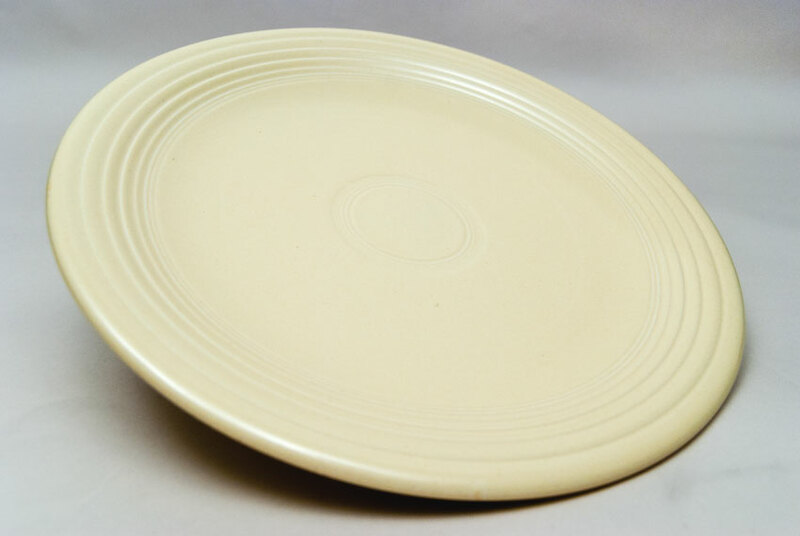 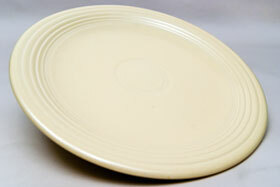 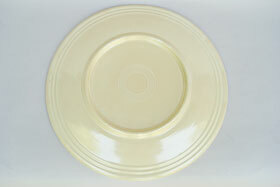 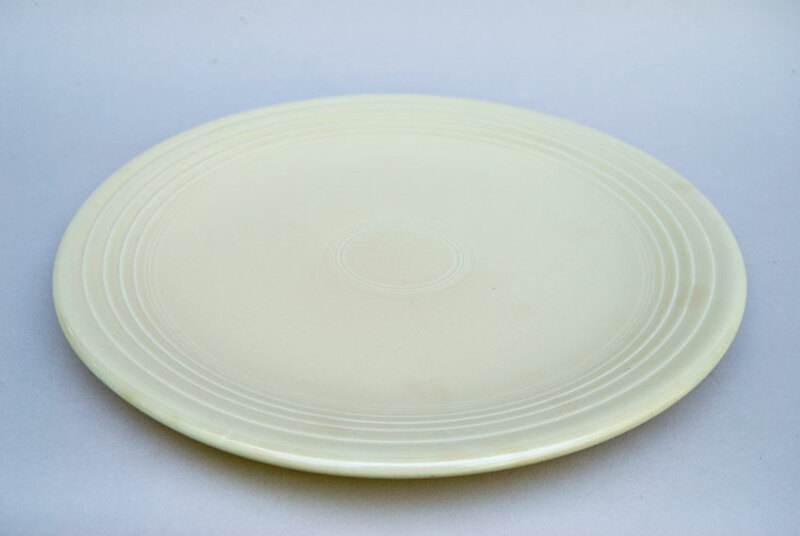 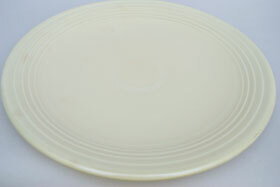 CIrca 1936-1952: Collectors of Vintage Fiesta pottery will appreciate clean old ivory glaze. 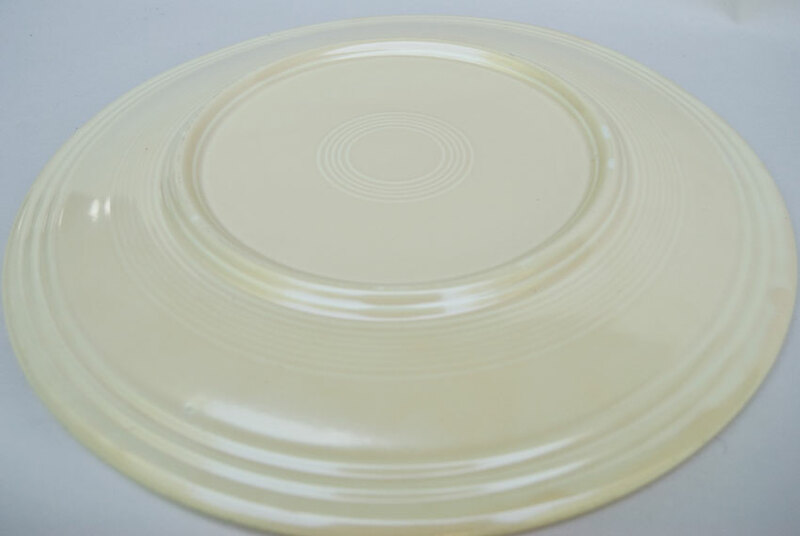 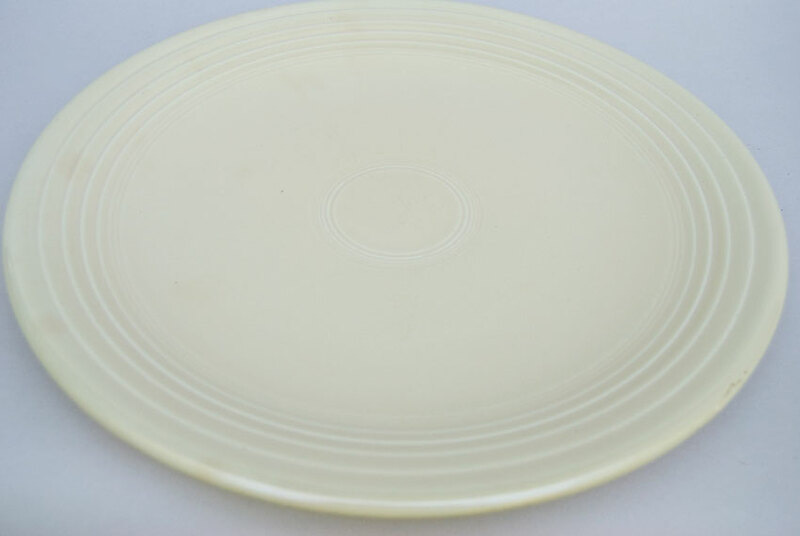 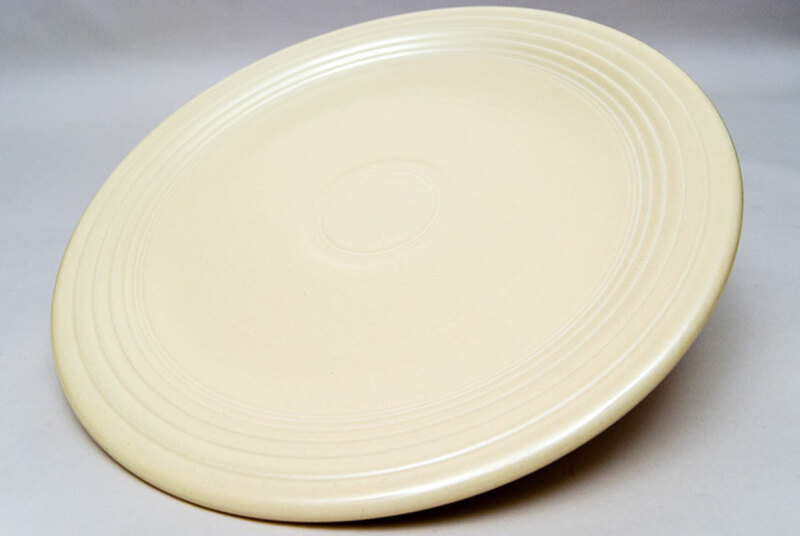 So prone to stains under the glaze or irregularities in the glaze, it is a delight to showcase the smooth vellum surface when it is found in excellent condition. 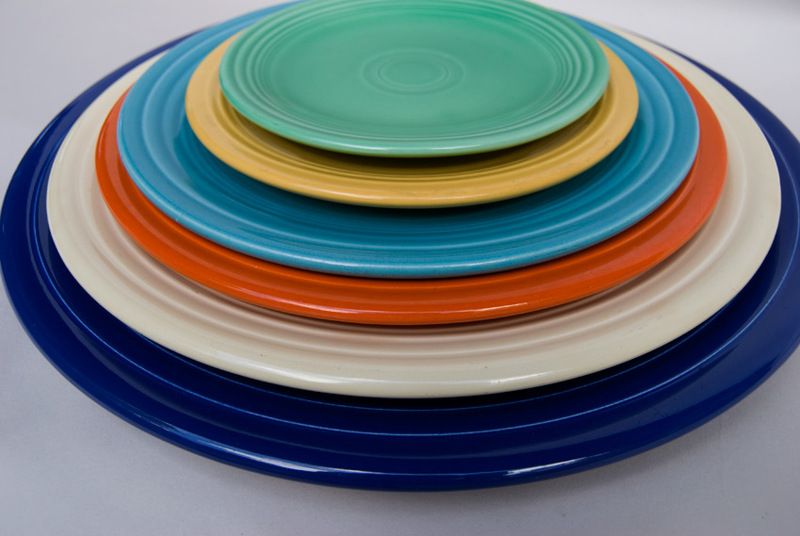 The 12" Vintage Fiesta chop plate makes quite a statement and comes in handy both on the table and for party platters and bold displays. 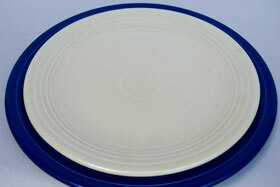 Measures 12 3/8" x 1 1/8".